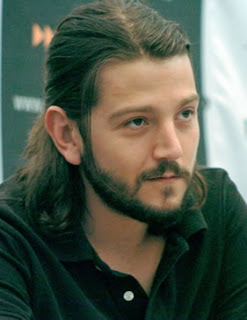 García Bernal and Diego Luna Will Have A Business Meeting with Pedro Páramo. Every living Mexican on the earth will certainly agree that there is no more tragic fictional character than Pedro Páramo. Written by the Mexican storyteller Juan Rulfo, this novel is pure Shakespeare. Probably, this is the first, of many impediments, to fairly adapt Rulfo’s key fiction into a motion picture. Since its publication in 1955, Pedro Paramo has sold almost two million copies and has never been out of print. For more than fifty years, this son’s journey in search of his father --–A modern version of Telemachus finding Ulysses--- still appeals to readers of different ages and nationalities around the world. For more than three years, Gael García Bernal and Diego Luna, both actors and film producers, envisioned the ambitious project to film a motion picture based upon Rulfo’s literary masterpiece. Relatively little information has been released on Garcia Bernal and Luna’s project. The only news we know for certain is that the film will be directed by the Spanish filmmaker Mateo Gil, author of the screenplay of the movie called Vanilla Sky (2001), and will have García Bernal in the leading role. The motion picture will be co-produced with the support of Mexico, Spain and Portugal, with a 7.5 million dollar budget. The movie suffered delays as a consequence of García Bernal’s overbooked agenda and a more urgent need to obtain additional financial support. Nonetheless, initial production will take place in three different locations on fall 2010: Spain, Mexico City and Jalisco Mexico. Pedro Páramo will be the fourth film based upon Juan Rulfo’s most famous novel. The internationally acclaimed Mexican novelist died of lung cancer in 1986. As his literary legacy, Rulfo published only three slim books: The Burnt Plain (1953), Pedro Páramo (1955) and The Golden Cockerel (1964). All were apparently written in uncomplicated and colloquial language, but his style is always elegant, accurate and strikingly poetic. Rulfo was also a very skilled photographer. He left approximately 6,000 negatives to his foundation. This not very well known talent was revealed to the public in a retrospective exhibit organized in Mexico City, at the Instituto Nacional de Bellas Artes (INBA), when Rulfo was in his mid-sixties. This was the first step to be known not only as novelist, but also as an extraordinary visual artist.The American writer Susan Sontag introduced the novel Pedro Páramo into the U.S. literary and cultural markets.